There are lots of ways to drive quality traffic to your website in 2015. Although the amount of channels has clearly increased in the last few years, your best bet in driving traffic is still organic search. According to SEO platform BrightEdge more than 50% of all traffic across a number of industries comes from organic searches. Email, display and referral is the next biggest traffic source followed by paid search. Let’s take a look at business services sector. This is where pretty big disparities appear and if you’re in the business services sector more than 60% of your traffic comes from organic search. Display, email and referral represents roughly 20% of all your traffic. Let’s forget display straight away, paying actual money for 0.1% click through rates is just silly. Email can be a solid traffic driver but we want to focus on referral and this is where combining SEO and influencer marketing can give you a great boost. Read on to find out how you can improve your SEO and referral traffic without spending a penny on advertising. Since the mid-90s search engines began indexing pages and two years later the term Search Engine Optimisation came into use according to industry analyst Danny Sullivan. Back in the day your regular SEO strategy consisted of finding between 5 and 15 keywords most relevant to your business or activity. Your business would focus on improving their ranking for these keywords and that would hopefully drive lots of traffic to your website. In 2015 you could try and make this simple keyword strategy work for you but failure will be imminent. The internet, SEO and searches have changed a lot in the past few years. Keywords still have their importance but the way people search in Google (or any other search engines) has fundamentally changed. Instead of typing the classic 2-3 keywords (like “influencer outreach” for example), people will now rather search for a phrase like: “how to scale influencer outreach”. This is called natural language search and these queries often contain more detail and their search volumes are smaller. In short, it’s often easier for your business to rank higher through producing quality content and seeding that with key influencers rather than investing in costly advertising across 10+ keywords based upon these searches. Social sharing and social profiles have always been a good way of improving your off-the-page SEO. As outlined earlier, you now have a good SEO strategy in place and have focused on some lower volume relevant searches for your business. With a social strategy in place, the key now is to get a steady flow of Twitter, LinkedIn and Google + shares. These will all boost your search engine ranking and get you more traffic and visibility. This is of even more importance now as tweets will appear in Google’s search results in real time later this year. Plenty of people sharing your content is great but what’s even better is having key market influencers share your content. Social media and SEO are now working together to bring you lots of traffic and sales but here’s how you can really take it to the next level. Off-the-page SEO in social is defined by the amount of shares you receive but also by the influence of who retweets or shares your content. Key influencers on social media can highly increase your reach on those networks but they can also have a very positive effect on off-the-page SEO. Identifying your key influencers and making sure that they share your content is one of the most overlooked SEO techniques in marketing. 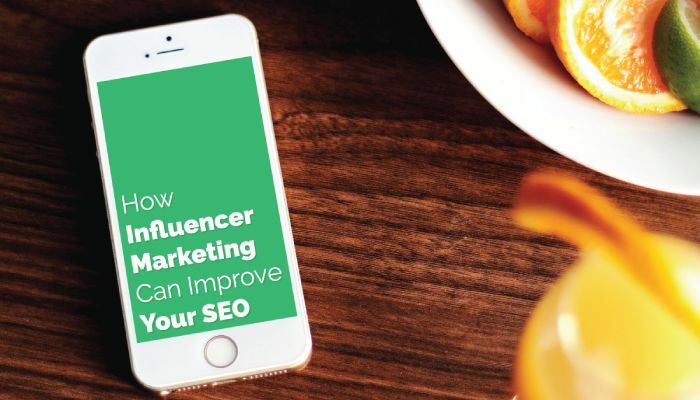 Building up an influencer marketing program inside your company can have very straightforward benefits such as lead generation or sales, but don’t overlook the “small” (but extremely important) benefits like the increase of social shares and the continuous improvement of your website’s SEO. Remember most website traffic is still generated via organic search in most industries. By applying this technique in the long run you also increase the chances of getting spontaneous mentions with the people you have been building relationships with. Furthermore, this will also allow you to get your content reblogged or reposted on some of your key influencers’ blogs, even better SEO thanks to quality backlinks! It is extremely important you identify people that that are key to your business or activity. Don’t always focus on the biggest influencers, start small and work your way up. Our tip: if you’re serious about your business you should already have identified 10 or 20 key influencers relevant to your business. Read this blog if you want to learn how to identify your key influencers. Make sure you create great content that will engage your influencers and be sure to keep it relevant to your business. Our tip: focus on providing value instead of trying to sell your product. We build really cool data backed influencer lists to provide communities with an idea of what people and brands are most influential in a discussion. Check out our latest on Social Selling. This is the tricky part and this is something that will not happen overnight. Focus on building relationships first and start sharing some of your influencers’ content if your just starting with influencer marketing. Our tip: be consistent and define a clear strategy. Focus on people that already enjoy your content. Once you have build up relationships with your influencers you’re in a good position to collaborate and maybe co –create some content in the future. This is one of the best ways of getting improved SEO and more social shares. Our example: This sometimes happens in a spontaneous fashion which is absolutely great, don’t hesitate to team up with other businesses as well. With our social selling influencer list we got a great follow up blog from our friends over at Purematter. This is great to get backlinks and it’s a great blog, so go read it! Now that you have built good relationships with a number of influencers, be sure to always keep engaging with new and undiscovered influencers. Scaling this activity is the best way of increasing your social shares, website traffic and also boost your SEO! Our tip: this also a great way of getting noticed by new and undiscovered influencers. We got a tweet from @MarshaCollier that got retweeted a lot, these types of tweets or shares are great opportunities for your brand to start building new relationships.